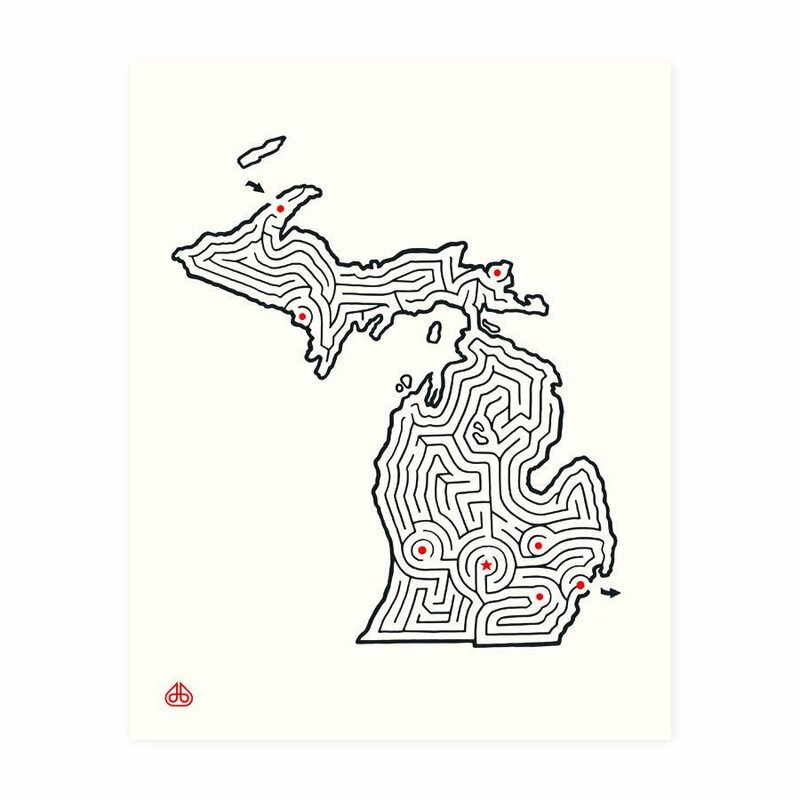 Celebrate maps & mazes with this amazing Michigan print! Ready to frame and hang on the wall. The red dots represent cities (Detroit, Grand Rapids, Houghton, Ann Arbor, Flint, Sault St Marie, Iron Mountain) and the star is the capital (Lansing).